MARLTON, NJ, JULY 25, 2003—The LeRoy W. Homer, Jr. Foundation honored the memory of the September 11th hero by awarding three aviation scholarships this past spring. LeRoy Homer was the first officer on United Flight 93, which was hijacked and crashed in Shanksville, PA, on September 11, 2001. The scholarships will allow ambitious students to pursue professional flight instruction that will lead to certification as private pilots. After a rigorous screening process three winners were chosen from over 300 applications. The exemplary award winners are Richard Valenta, Sarah Lemmer and Michael Scott. Mr. Valenta is a 16-year-old from Spring, Texas, who hopes to attend the United States Naval Academy. He will start his junior year of high school this fall where he maintains a grade point average of 3.5, runs cross country and plays basketball. Outside of school, Mr. Valenta is an Eagle Scout and a member of the Civil Air Patrol. Since receiving the award, Mr. Valenta’s enthusiasm has been overwhelming. In two months he completed all of the requirements necessary to attain his private pilots license. 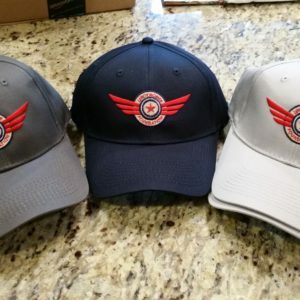 He is currently planning to take his private pilot check ride on his 17th birthday this August. A 20-year-old from Boise, Idaho, Sarah Lemmer is pursuing a B.S. in Aviation from San Jose State University in San Jose, California. Ms. Lemmer was born and raised in Idaho where she graduated from high school with numerous honors including Valedictorian. At San Jose State, Ms. Lemmer maintains a 4.0 grade point average, and she serves as an academic tutor and a community rehabilitator. After receiving the award, Ms. Lemmer began her flight training in June and has completed 25 hours of flight training. She has successfully flown “solo” and is beginning her cross-country navigational training. Civil Air Patrol. He is a varsity member of the cross-country team. Mr. Scott began his flight training in late June after attending a summer camp with the United States Naval Academy. He has completed 11 hours of flight training. 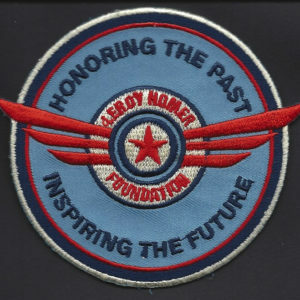 The LeRoy W. Homer Jr. Foundation was launched to honor and maintain LeRoy Homer’s dream of flying. LeRoy was a first officer for United Airlines flying B757/767 out of New York. 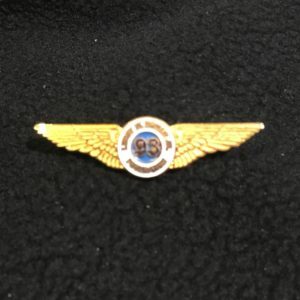 On September 11, 2001, LeRoy was flying with Captain Jason Dahl on flight 93. LeRoy dreamed of flying at a young age. His passion for flying took off at 15 when he started flight instruction on a Cessna 152. He completed his first solo flight by age 16, and later obtained his private pilot’s certification. LeRoy graduated from the U.S. Air Force Academy in 1987. As an Air Force Captain, LeRoy flew C-141 Starlifter for McGuire AFB in New Jersey. While on active duty, he served in Desert Shield and Desert Storm and later supported operations in Somalia. He received many commendations, awards and medals during his military career. He was honorably discharged from the Air Force in 1995, but he continued his military career as a reservist—initially as an instructor pilot with the 356th Airlift Squadron at Wright Patterson AFB, Ohio, and subsequently as an Academy Liaison Officer, recruiting potential candidates for both the Air Force Academy and the Air Force Reserve Officer Training Corps. During his time with the reserves, he achieved the rank of Major. LeRoy has received a posthumous Honorary Doctoral Degree from the College of Aeronautics as well as The Air Force Achievement Award and the Meritorious Service Medal given by the direction of The President. Melodie Homer, LeRoy’s wife and president of The Foundation has also received awards from the American Legion, the Congressional Black Caucus, the Jack and Jill Foundation of America and many others. A rocket launch scheduled for late summer will honor LeRoy’s memory. The LeRoy W. Homer, Jr. Foundation: (404) 306-0844.